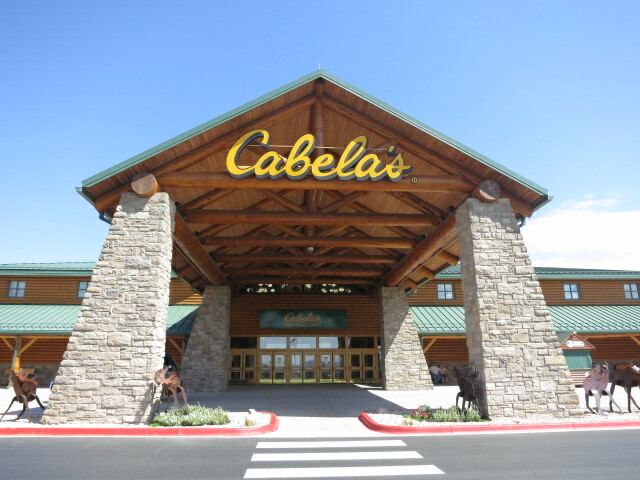 Cabela s Incorporated is a direct marketer and specialty retailer of hunting, fishing, camping and related outdoor recreation merchandise. The stores are more like cavernous showrooms, bringing the outdoors inside. They feature museum-quality displays of taxidermied wildlife, large aquariums, indoor mountains, and archery ranges. 1. (V) A mule deer with #1 World Record Typical Mule Deer Cabela s Lehi UT .